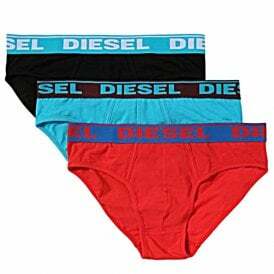 Diesel Underwear has become one of the most sought-after underwear brands since its launch in 2005. The collection includes a great choice of styles and colours, all offering superb quality, comfort and fit. Our men’s Diesel underwear range includes everything from Diesel Briefs and Diesel Boxers to the Diesel Fresh & Bright’s range. 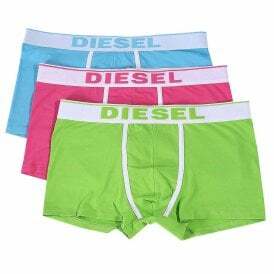 We also offer a fantastic range of Diesel underwear at a massive discount in our Diesel Clearance range. If you are a fan of Diesel underwear, you may also be interested in our Armani underwear range. 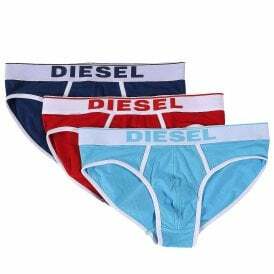 Browse our full Diesel underwear range and buy online today.